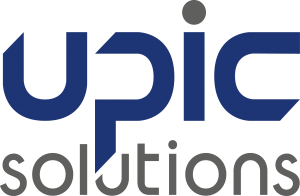 Upic Solutions, the leading technology and services company who supports only United Ways, announces the release of Upic Community Connect, built around Microsoft Dynamics 365. Upic Solutions, a Microsoft Cloud Solutions Provider, is leveraging years of experience in cloud technology, applications, and CRM expertise to help United Ways gain a next-gen donor management and business productivity solutions. Upic Community Connect is an intelligent business application designed for United Ways who are looking for easy-to-use tools to better engage with their community. Upic Community Connect integrates with Andar/360, Microsoft products like PowerBI and Outlook, Click Dimensions for email marketing, Eventbrite for event management, and more, enabling United Ways to develop a closer relationship with their donors through improved individual engagement. Seamless Integration – Deploy one solution to manage your campaign, donor engagement and activity, social media, events and marketing. Upic Community Connect Integrates Andar/360 with other familiar applications you already use, eliminating data silos and creating a single source of truth. Simplicity – Easy to use, simple and intuitive to learn. Supported by the experts who understand United Way business needs and processes. Speed – Handle the most common processes like thank you’s, tax receipting, reporting, and activities like CEO visits. It’s all in the cloud, setup and managed for you, allowing you to focus on your mission. Mobile – Get powerful relationship management capabilities from anywhere on your desktop, laptop, tablet or mobile phone with one experience that is consistent and secure. Analytics for Deeper Insights – Access, model, and analyze data across multiple dimensions to perform ad hoc, customized reporting. Use Microsoft Power BI to create highly compelling dashboards, and to infuse big data, predictive analytics to transform data into actionable intelligence. To learn more about how Upic can help you, visit us at Upic Community Connect. Upic Solutions (upicsolutions.org) is the only nonprofit technology collaboration created by and for United Ways. Our mission is to help United Ways be the best community solution leaders, in an increasingly competitive environment, by providing state of the art business and technology solutions. Deeply rooted within the United Way system, our team has vast United Way field experience. Upic’s understanding of your needs brings a unique perspective to our business and technology solutions.